Events surrounding D-Day contributed to millions of personal, individual stories which are all unique and fascinating in their own right. Finding out about the story of family members believed to have been involved in D-Day can be a fascinating experience. We have put together these guides, organised by country name at the time of D-Day, to help you uncover the stories of family members known or believed to have taken part in D-Day and the Battle of Normandy. During the Normandy campaign Australian personnel served in the Royal Air Force and in the Royal Navy. Belgian personnel served in the Belgian Infantry Brigade and also as part of the air forces in 1944. The Canadian 3rd Infantry Division led the landings on Juno Beach on D-Day, and more Canadian troops landed during the Battle of Normandy. Czech airmen took part in missions on D-Day and during the Battle of Normandy, and the Czech Armoured Brigade landed and fought later in the campaign. A number of Danes took part in the Normandy landings, mainly on merchant ships. French commandos landed on D-Day. French airmen flew missions on D-Day and during the Battle of Normandy, and several French ships took part in bombarding the German defences in Normandy. A number of resources about German forces in relation to D-Day are available online. Service records for Second World War British servicemen are often the best source of information about an individual, and are held by the Ministry of Defence. Several Greek ships took part in the naval part of D-Day. 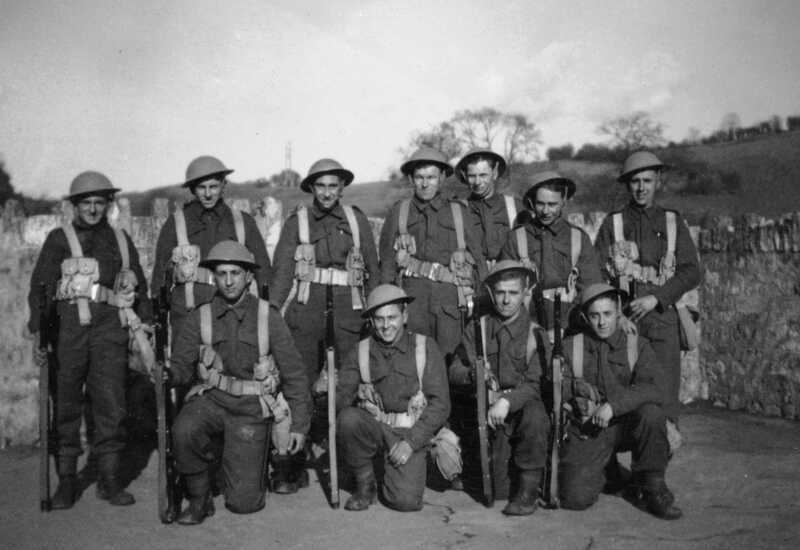 Dutch personnel served in the air forces, on board ships and in the Princess Irene Brigade in 1944. During the Normandy campaign New Zealand personnel served in the RAF and in the Royal Navy. Several Norwegian ships took part in the naval part of the D-Day landings, and Norwegian airmen also served in the air forces. Polish airmen took part in missions on D-Day and during the Battle of Normandy. Several Polish ships also took part in the naval part of D-Day, and the 1st Polish Armoured Division landed later in the campaign. American troops taking part in D-Day numbered 23,250 on Utah Beach, 34,250 on Omaha Beach, plus an additional 15,500 airborne troops. Some 1,500 US soldiers lost their lives on D-Day and many more were wounded.